Everyday Beauty: Let Freedom Ring! Andrea, this turned out completely adorable! I so want to do the ledger paper and antique the pom poms now! Oh, and the red velvet ribbon is yummy. love how you put the little white flowers all around the top and love the addition of the red ones. Darling. I love kits too. So much fun. So glad you enjoyed it. Happy Independence Day, my friend. 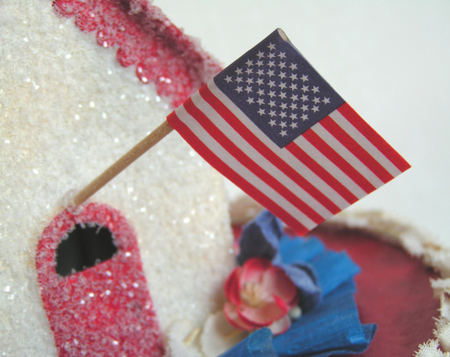 What a charmingly patriotic little home. I JUST LOVE HOW YOUR LIITLE HOUSE TURNED OUT. I'LL BE WORKING ON MINE TODAY. I ALSO LOVE KITS. I HAVE PURCHASED VARIOUS KITS FROM HOLLY AND THEY ARE GREAT. I don't know if this will work. I love your blog and all your sparkly stuff. I'd never thought of painting or naming for that matter, my dress form. Your husband did a fantastic job. Mine's a little more beat up. I too have wondered how much stuff do I need to collect? It's even difficult to pare down my favorites? It's all about being surrounded with things that you love and bring back memories. Problem is, there's still too much! I'll be back. Oh that is just gorgeous!! 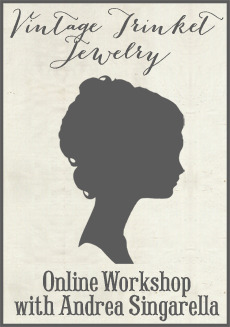 I love it - I will have to go see Holly Doodle Designs - I have heard of her, just never gotten around to seeing her Website. this is super cute! happy 4th! Hope you had a lovely weekend. Now it's getting back in the groove this monday, so hard after a long weekend. Lovely project you posted. And thank you for the sweet comment on our "birdies"! 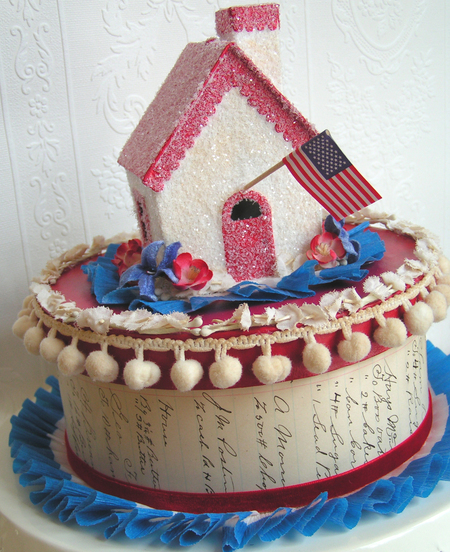 I love the your little patriotic house! I hope you had a lovely holiday!